I give permission for first aid trained staff to carry out any emergency medical treatment required by my child during the session(s). I confirm that my child is in good health and fit to participate in supervised activities. I consent to photographs/film being taken of my child. These will only be used to meet funding requirements, or to be published in local newspapers or on [Organisation]'s promotional materials, such as posters, the website, Facebook and Twitter. I would like to receive information about [Organisation]’s activities and other events by email. [Organisation], on behalf of itself, employees and agents, hereby disclaims all liability, except where negligence can be proven in respect of personal injury or loss suffered by participants attending its sessions/activities. [Organisation] reserves the right to cancel any activity where insufficient numbers apply and to ask you to collect your child immediately if your child behaves in a manner that is deemed unacceptable. Please note you can change your permissions by completing a new registration form or opting out online. This one doesn't do anything by postal mail (charity organisation; printing and postage is too expensive), so we were able to drop that one. Given some of the grey areas in the regulations, we're waiting to see just how strictly the ICO is going to enforce items such as the channel/frequency combination for contact; frequency for contact is specified in the regulations, but the guidance doesn't indicate any expectations of how this should be implemented. How should you specify frequency of contact for each channel in respect of each organisation's activities, which may vary; and if a fixed schedule changes, do you have to go out to regain consent? For every channel, or just the one affected? In the strict interpretation of the regulations, the answer would appear to be yes. But no one we've seen is doing it. And a lot of the re-consent contacts are less than specific about channels according to our interpretation of the GDPR. Almost everyone is relying on the 'legitimate interest' basis and doing the bare minimum, which may or may not turn out to be valid. 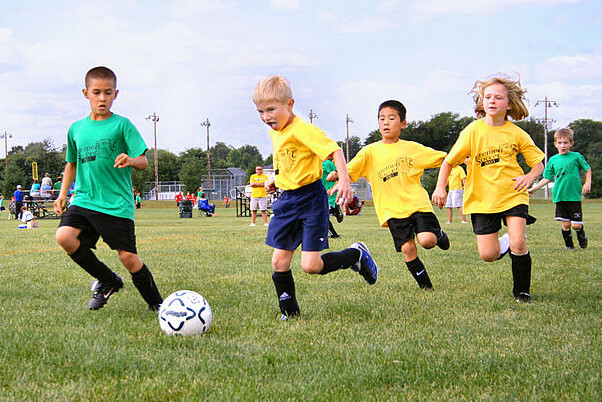 Image credit: Youth-soccer-indiana By Tysto [Public domain], from Wikimedia Commons"